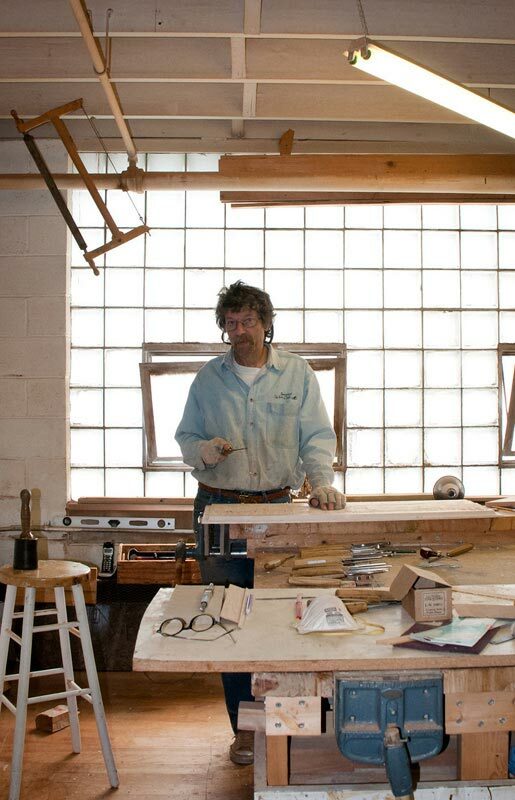 Jeffrey Cooper is often asked, “How did you get from a degree in engineering to being a furniture artist?” He answers, “Well, it’s like this. When I exited the education pipeline in the tumultuous 70’s I found myself as an idealist in a world of jaded men. 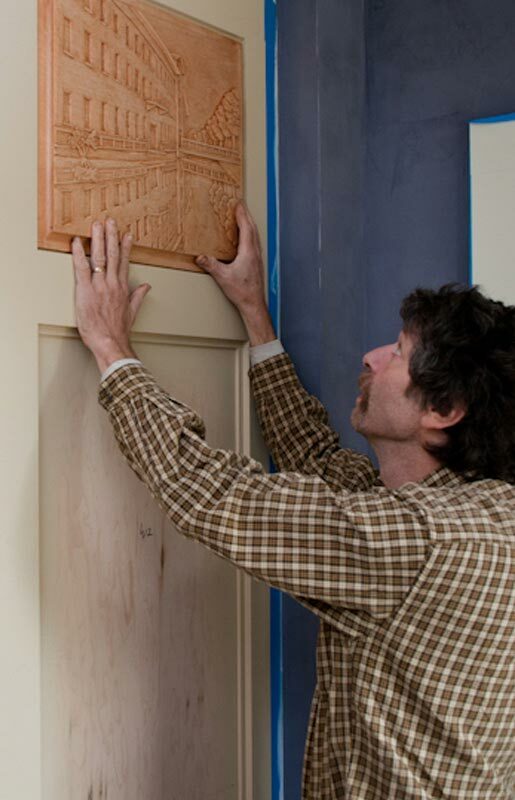 I soon dropped out and joined a commune in Oregon where I became the assistant to the cabinet maker.” When he left the commune, he pursued that new interest through classes at the League of NH Craftsmen with Ken Harris, and through the University of New Hampshire with Dan Valenza, and several other classes mostly at Peter’s Valley Craft Center in New Jersey. And that’s how it happened. Learning from such varied sources allowed him to develop his own unique and identifiable style. It is whimsical, and folk art. 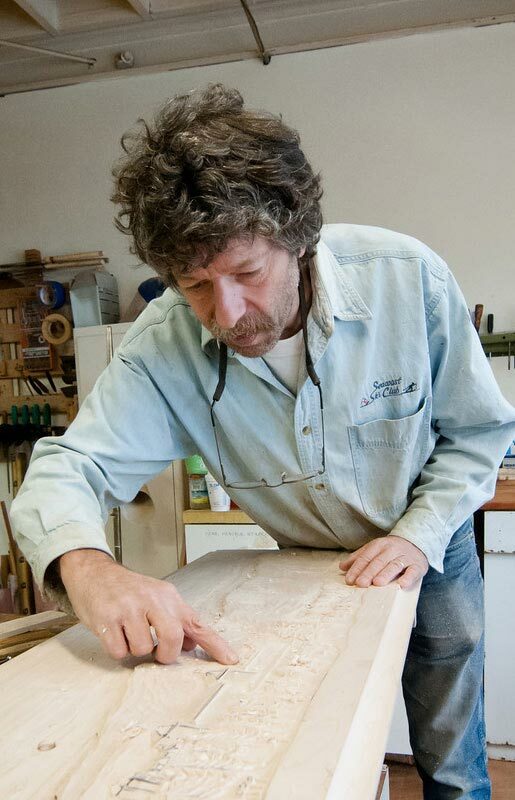 The focus on nature themes in his designs reflects his lifelong passion for the out or doors, be it in the woods or in the garden. How, then, did he take such a strong interest in pushing the arts end of the furniture making spectrum? If you have read this page before you already know that his Mom was an artist in watercolor and oils, and about his encounter with Raven and First Men by Haida artist Bill Reid, at the Anthropology Museum of British Columbia, which is when he began carving wood. Another key moment he recalls; happened at the Primitive Art Show several years ago, at the Metropolitan Museum of Art in New York. In a display introducing the term “ideagraph” was a spotted column labeled Giraffe, and a similar but horizontal spotted pipe labeled Leopard. “OK – a bit of a stretch; but I could see it.” he says. The ‘takeaway’ was that imagination can engage a viewer in ways that realism cannot. 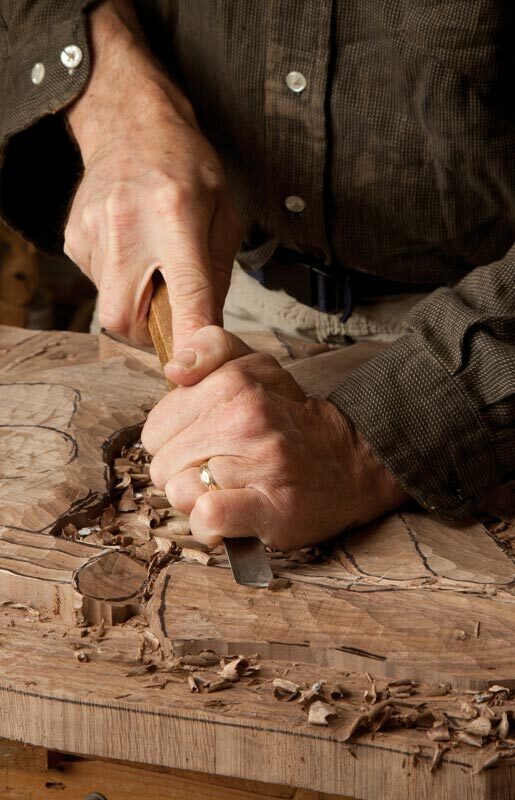 Returning home, Cooper developed a style in nature carving that is lifelike without being truly realistic. 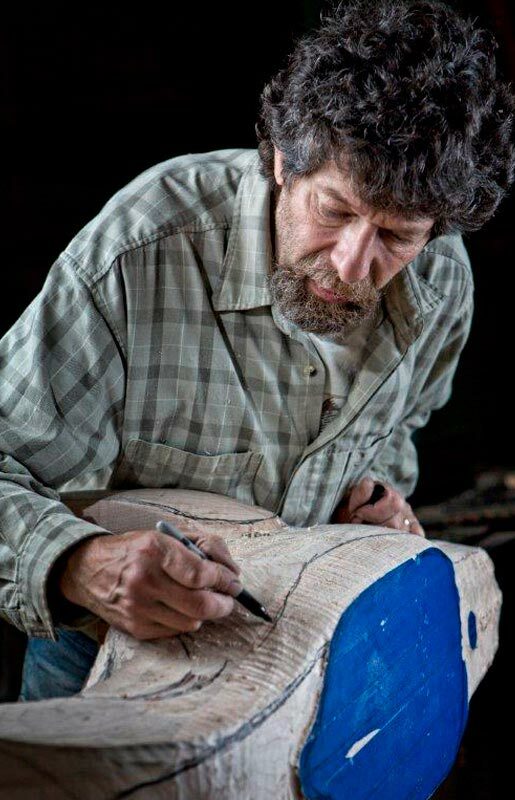 Cooper takes special pride in his Public Art and has completed several interesting installations including both free standing and relief carved mural work. You can see these in the Gallery of this website which is divided into three sections – Home, Garden and Public Art.